This month is also a big one for Healthy Connections. Since 2002, we have offered dental sealants to elementary students in Polk County and provided oral cancer screenings to area high school students. The program kicks off Feb. 7 and runs on Thursdays throughout February. Dental sealants are a plastic material that is placed by dental professionals on the chewing surfaces of permanent back teeth to prevent cavities. The sealant provides a physical barrier that prevents cavity-causing bacteria from attacking the surface of the tooth. The thinner, weaker enamel in the deep grooves of the chewing surface of the tooth cause this area to be prone to tooth decay. Left untreated, tooth decay can eventually lead to pain, poor dental and physical health and tooth loss. Dental sealants on permanent molars reduce the risk of cavities by 80 percent. This experience is often the child’s first trip to the dentist so the Healthy Connections’ team blocks off a full day of regular patient care and engages help from the entire staff to provide a fun atmosphere where the children are taught the proper techniques in brushing and the benefits of oral health habits. By increasing dental health and hygiene, the child’s overall health outlook is enhanced and improved. Healthy Connections’ dental sealant program reflects our mission and vision to promote health and wellness for our children and families in the Western Arkansas area. Children that participate in our Dental Sealant Program receive instruction in Oral Hygiene, such as how to brush and floss, and are given a toothbrush and dental floss to take home. 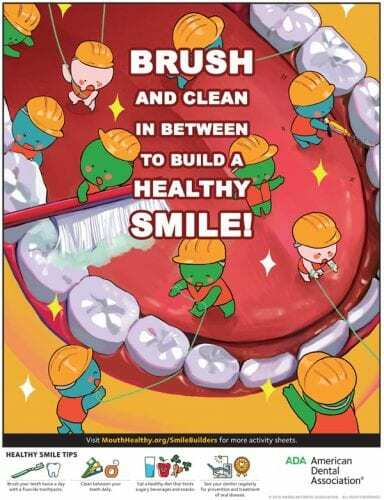 Visit www.-healthy-connections.org/dental-sealants/ for more information about the program. And check out www.healthy-connections.org/teeth/ for more information on our dental clinics in Mena and Hot Springs.